The Arymi Armor Tank is a simple to use masterpiece that gets the job done. It works really well when used with a mid-wattage box mod. 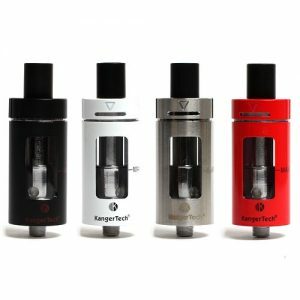 The Arymi Armor Tank is made by KangerTech and has a few features that make it unique. 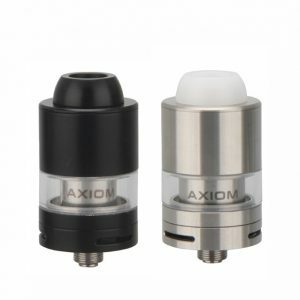 First of all, the drip tip is integrated with the Armor CHC atomizer head. This makes refilling very easy because you unscrew the top cap, and the coil comes with it. You then fill up the tank up to a line and screw everything back in. This makes the process of refilling very easy and clean.The tank has a capacity of 3mL for vape juice which is pretty good. The Arymi Armor comes with a leak-resistant glass tank cup. This design also combats against leaks, making the tank even cleaner to use. 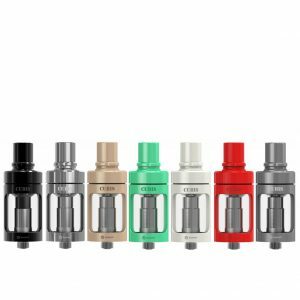 The drip tip that’s used with the sub-ohm tank has dual airslots. These airslots make the vaping experience much smoother and more pleasant. 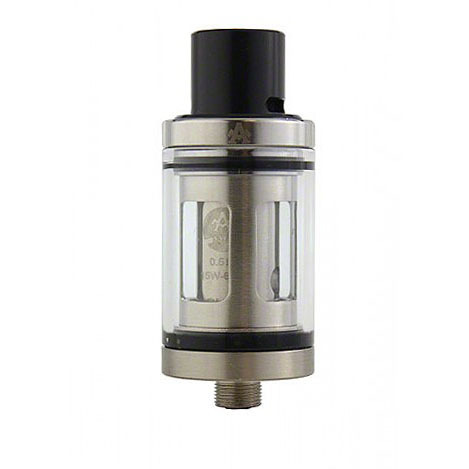 The tank includes one CHC SS316L coil with a 0.5 ohm resistance. The coil supports both variable wattage and SS316L temperature control mode, giving you many options on how you want to vape. For best results, use a mod that outputs between 15 and 50 watts of power. This is the best range for the tank, where flavor and vapor production are the best. 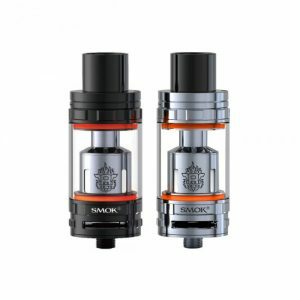 For extreme durability, the tank is made out of Pyrex Glass and Stainless Steel. All in all, the Arymi Armor Tank is a capable and effective piece of hardware that works well with mid-wattage devices.